Everything you need, all in one product! The problem with round trampolines is that the size is often limited by the garden width, significantly compromising performance and usability. 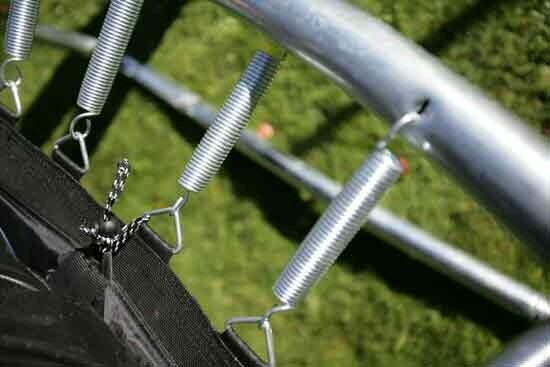 For example, a 10ft round trampoline may fit into a narrow garden, but with few springs and small jumping area it will not be suitable for use by older children and adults. The Oval Pod from Jumpking is the perfect solution. With a width of 10ft, the Ovalpod can fit into narrower gardens, yet its length is 15ft, meaning it has a much larger jumping area than the equivalent circular trampoline. And, most importantly, the OvalPod has the space to pack in 90 springs, making the springing strong enough even for adult use. Features: Fully stitched-in enclosure for added safety. The elegant design ensures easy set up and a taught enclosure. Horizontal quick-fit shock corded rods create a safe and secure enclosure. Unique Tri-Layer socket greatly enhances safety and durability. 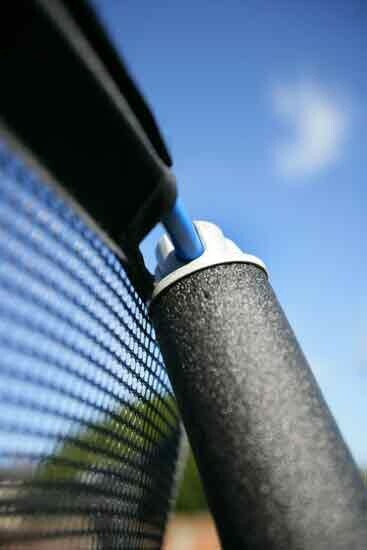 Poles slot directly into Tri-Layer socket, eliminating the need for brackets. Fully fastened entry/exit door for maximum security. Fully galvanised steel frame. Made by Jumpking - the biggest trampoline manufacturer. New over and under Eurospring™ design reduces stress on frame and ensures optimum jumping performance Handy shoe bag for storage. Yet More Stability - Safety enclosure featuring patented shock-corded rods. enlarge Over and under Eurospring™ design reduces stress on frame and ensures optimum jumping performance. JumpKing is, quite simply, the largest trampoline manufacturer in the world and have been manufacturing trampolines for over 20 years, gaining unrivalled experience in the trampoline market. 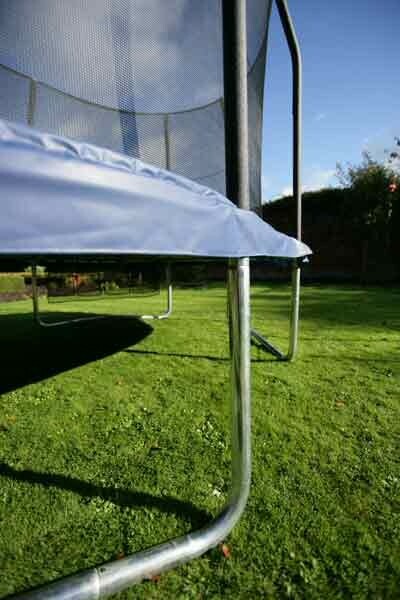 These adult and childrens trampolines come in a variety of sizes and styles to suit every garden and budget. 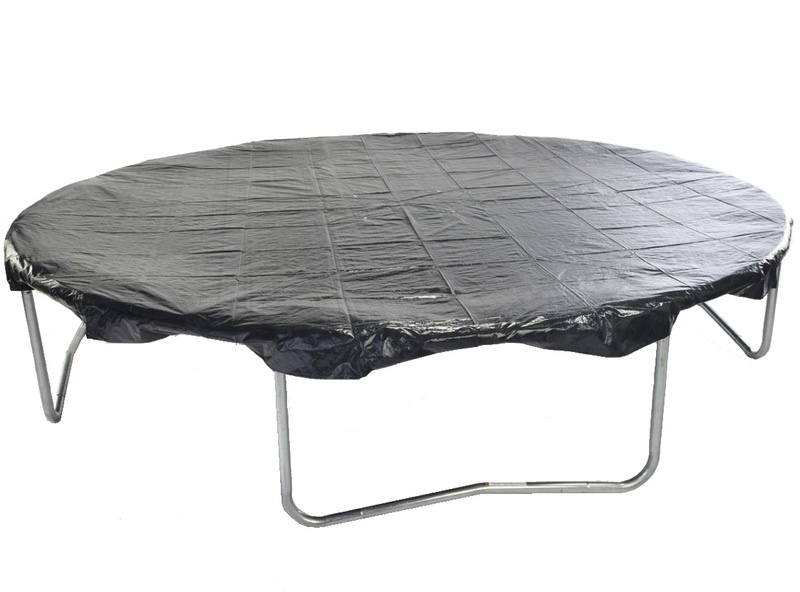 With millions sold worldwide, every Jumpking trampoline is manufactured to US (ASTM) and EU (TUV) standards. JumpKing has been around far longer than most trampoline manufacturers and has grown to become the world leader. 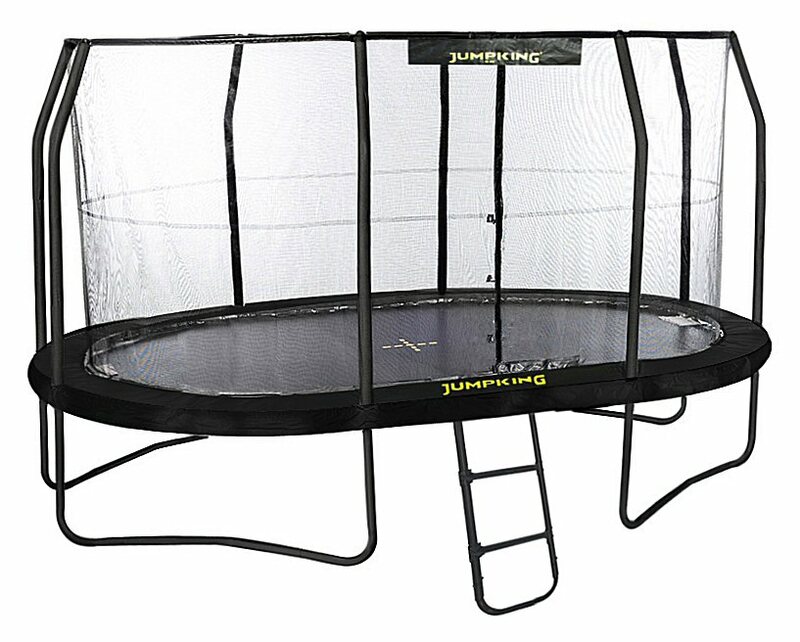 The advantages of buying a JumpKing trampoline are many - the manufacturer designs its trampolines based on experience built up over many years. 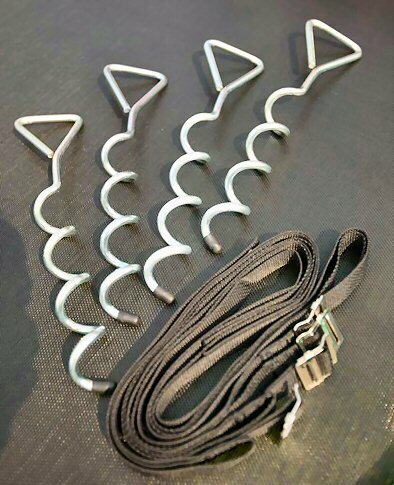 In addition, you will always be able to buy spare parts for your trampoline, even years later. 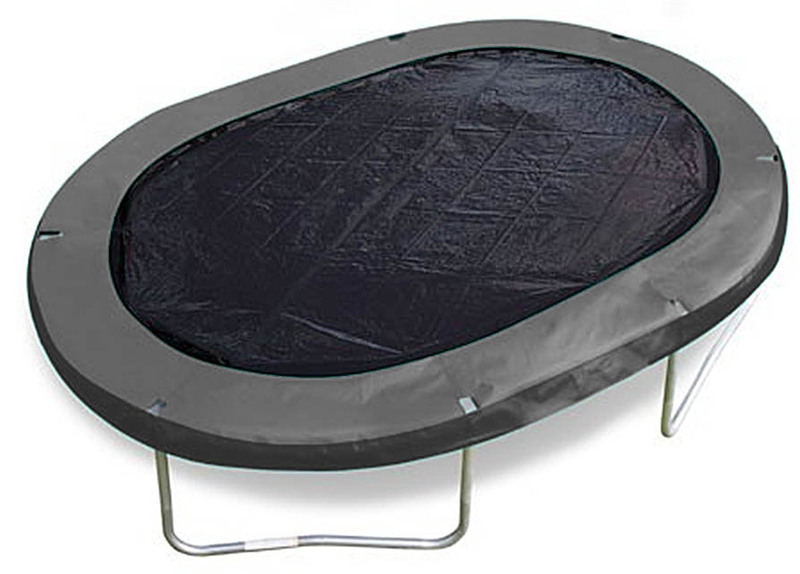 We are still supplying spare parts to customers in the UK who bought their trampolines over ten years ago! 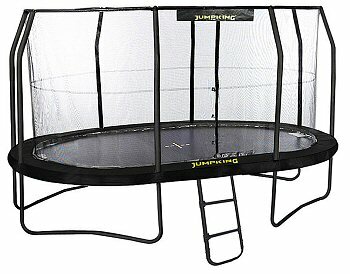 You will see the JumpKing branded trampolines almost everywhere these days. Whereas the high street and Supermarkets generally focuses on the budget end of the product range, we focus more on the mid to upper ranges, which are designed to keep your children bouncing even after 10 years or more. Usually sent to UK mainland addresses on a 1-3 day courrier service. Delivery overseas can take a few days longer. We generally dispatch sameday if you order before 12 noon. When you input your address details, you can also add special delivery instructions. In any case, we email you your tracking details, so you will know when delivery will be attempted.